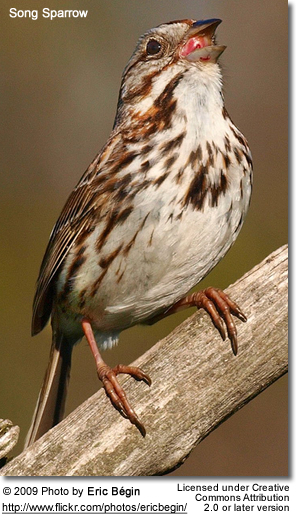 American sparrows are similar in both appearance and habit to finches. 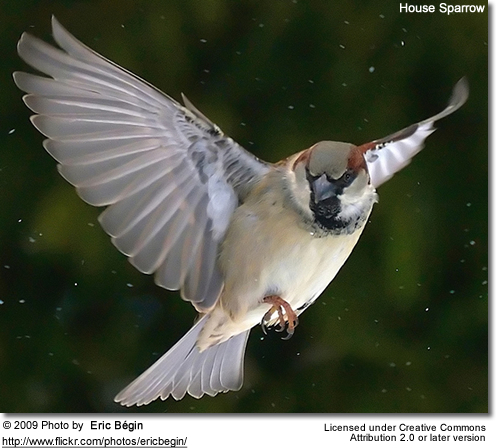 American Sparrows are seed-eating birds with conical bills, The plumage is mostly in shades of brown or grey and many species have distinctive head patterns. 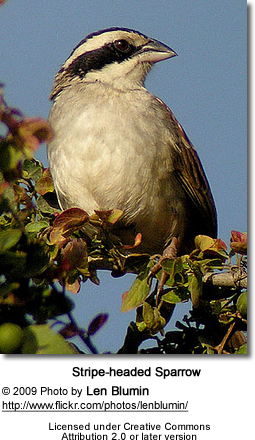 Five-striped Sparrow, Aimophila quinquestriata : A medium-sized sparrow. 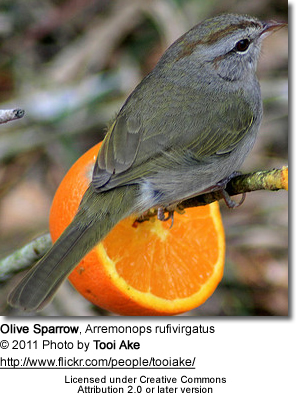 This passerine bird is primarily found along the Pacific coast region of mainland Mexico, with a breeding range that extends into the southern tip of the U.S. state of Arizona. 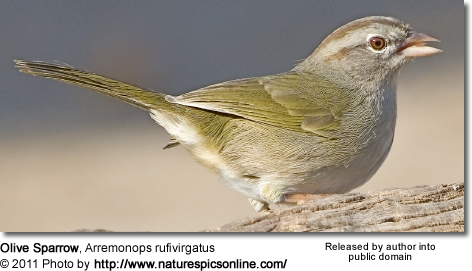 This species is a regular victim of cowbird nest parasites.